Whenever you hear the term ‘Home Renovation’ the first thing that probably comes to your mind is how much it will cost to actually complete one, right? Well, that’s totally normal because it really is expensive. Speaking of costly home upgrades, one of the most notoriously pricey parts of the house to overhaul is the kitchen. In fact, it is so expensive that the cost for it usually stands at around $20,000 to $50,000 dollars. Luckily, there are ways you can renovate your kitchen without having to break the bank. Yes, you read that right. And all you need to do is be resourceful and have a lot of creativity. Are you interested in finding out what they are? Written below are the tips you should try. Renovating your kitchen without having a concrete plan on what kind of result you want to see will only end in nothing but disaster. Make sure that before you even start giving your kitchen a makeover, a grand plan has already been laid out. From the materials that you’re going to use, the new arrangement of things in the kitchen and up to all the stuff you’re going to buy afterwards, all of them must be written down beforehand. One of the easiest and cheapest ways of giving your kitchen a new look is to change the color of its paint. Repainting the walls, cabinets, and even the kitchen table can not only give them a fresh appearance but also hide signs that they are dirty, outdated, and worn down. Experts say that when it comes to choosing colors, it’s best to go for white since they make every look new and clean. 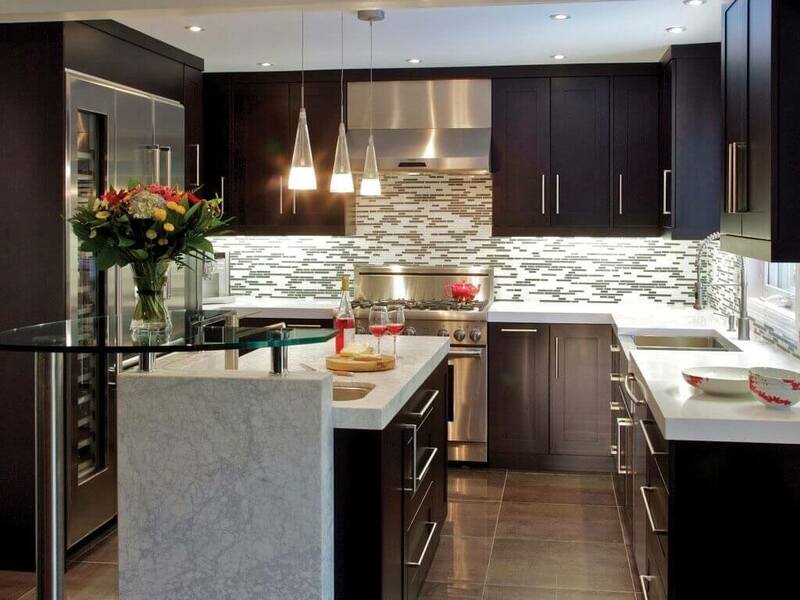 Another way to liven up a dull kitchen is to make the place seem brighter, literally. Add more lights to make the space seem wider and more inviting. Install them in areas that can make other parts of the kitchen pop. If you’re looking to buy kitchen furniture such as chairs, cabinets, and tables then you can check out flea markets, thrift shops, and garage sales for unique finds. Sure, they’re not new but they can complete the aesthetic you’re looking for. And besides, they’re a lot cheaper than buying new ones.